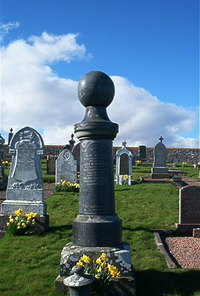 Erected by Helen Campbell in loving memory of her husband. John M Sinclair contractor of Lybster died 29th August 1908 aged 61. Wife Helen Campbell died 17th May 1920 aged 64.